As I mentioned in previous post, the grandchildren were here for a visit. 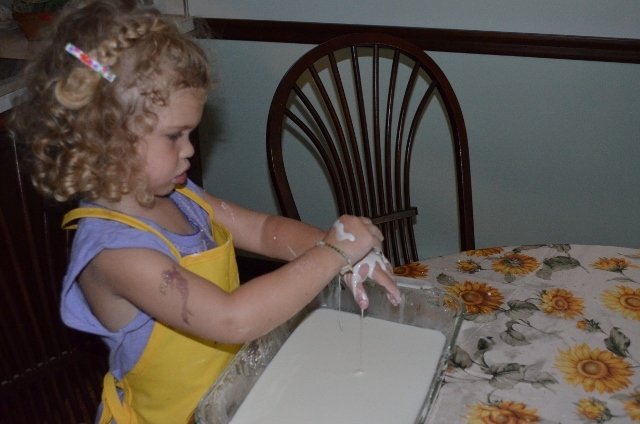 One of our projects focused on making slime – another project (a standard for Pre-K teachers) was goop or oobleck. 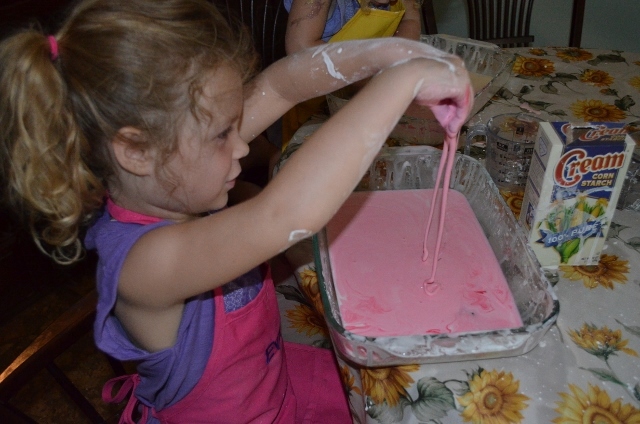 This is another great sensory experience for young children. 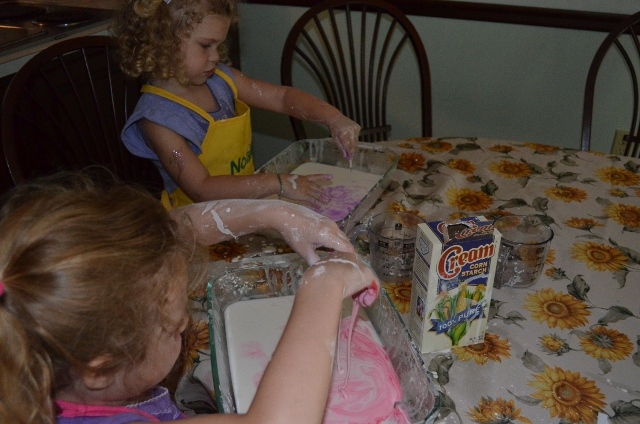 Like slime, it is easy to make but a little messy so cover your table or work surface to help in the clean-up. There are no proportions, that is part of the experience. 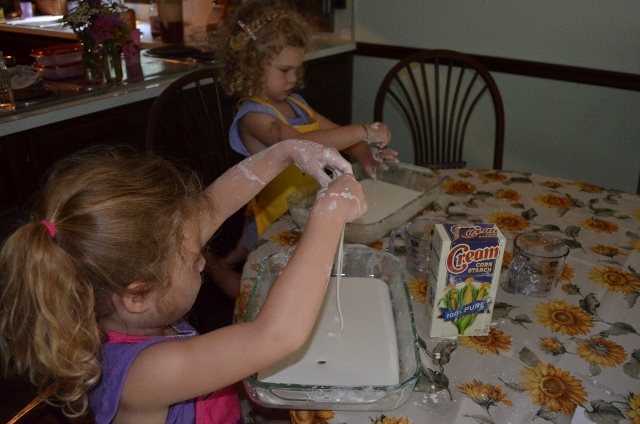 Pour some cornstarch into a mixing container. Then gradually add water and mix. 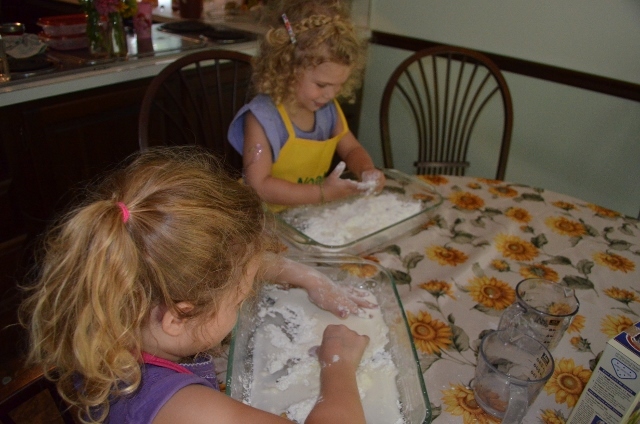 The cornstarch and water makes a substance that is solid in the dish but turns to a fluid when you pick it up. 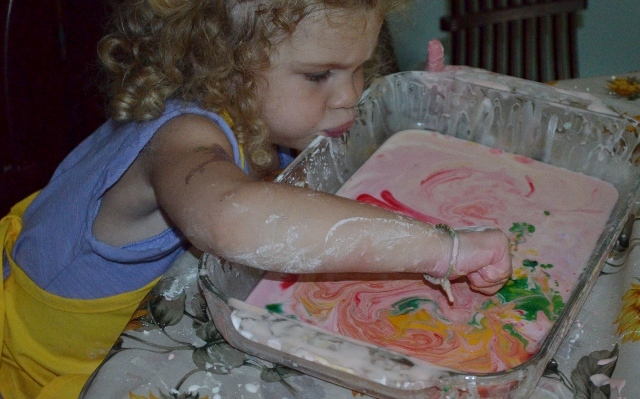 Again, lots of good messy fun for young children.